Fort Macleod and district residents are asked to share their favourite Christmas stories in a new writing contest. Submissions of up to 500 words will be accepted until Thursday, Nov. 15 at the Fort Macleod Library or Chamber of Commerce office. Linda Paradis, who facilitates the writing classes Thursday evenings at the library, introduced the contest to the Santa Claus Parade committee. “The power of storytelling has always been used to connect communities together and to open our eyes to see our neighbours in a new light,” Paradis said. Children and adults are invited to submit a story about their favourite Christmas memory for judging. First prize in the adult category earns a $100 cash prize, with second place netting $50. First prize in the category for children up to 17 years of age is $50, and second prize is $25. 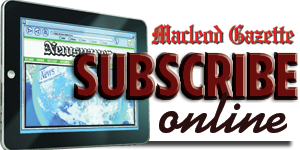 The winning entries will be published in The Macleod Gazette. Winners will be announced at the family dance at the community hall on Saturday, Nov. 24. Entries with contact information should be dropped off at the Fort Macleod Library at 264 24th St. or the Chamber of Commerce office at 258 24th St. by Nov. 15.